Visiting Assistant Professor of Law William Snyder recently discussed jurisdictional aspects of cyber security law in relation to a cyber harassment case. William Banks, Board of Advisors Distinguished Professor of Law and Director of the Institute for National Security and Counterterrorism, recently participated in the Lawfare podcast discussing “Soldiers on the Homefront: The Domestic Role of the American Military,” co-authored with Stephen Dycus. Associate Professor of Law Tara Helfman has written on the legal and Constitutional implications surrounding President-elect Trump’s potential conflicts of interest. 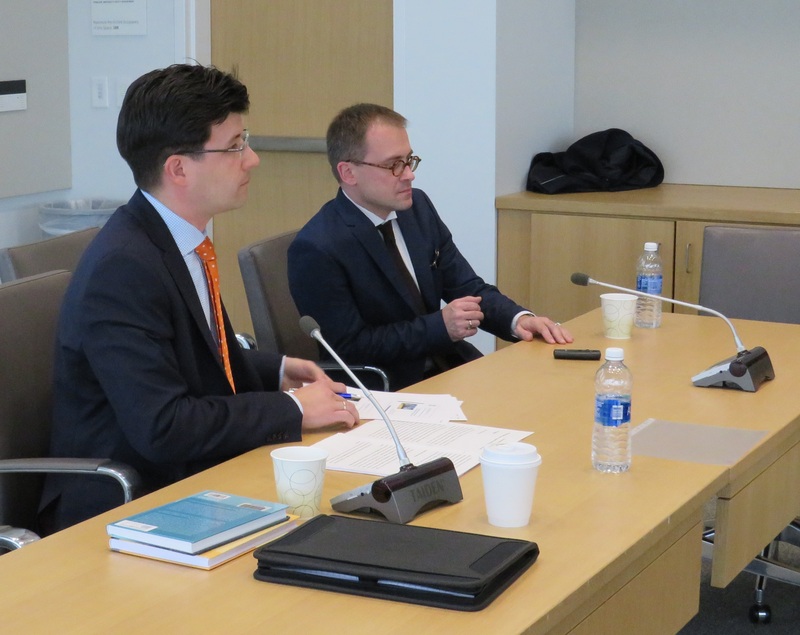 The College of Law hosted Professors Tomasz Nieborak and Maciej Dybowski from the law school at Adam Mickiewicz University (AMU) in Poznan, Poland.